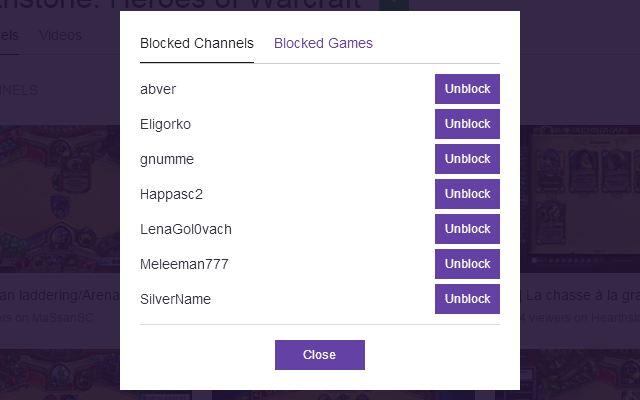 Summary: Blocks content that you don't want to see on twitch.tv, such as channels, games, videos etc. Hey guys! I'm really sorry, but I'm not going to support this add-on anymore. 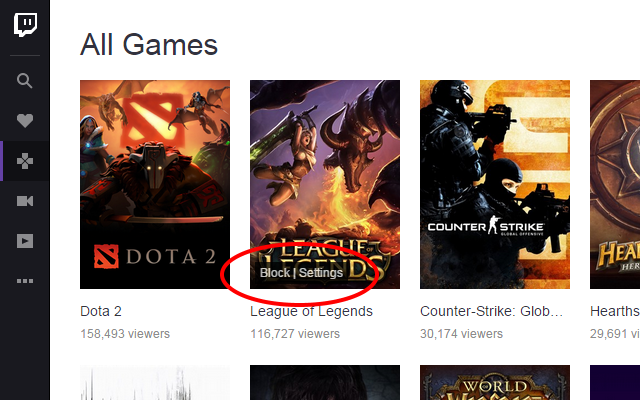 Allows to hide content that you don't want to see on twitch.tv by blocking channels and games. 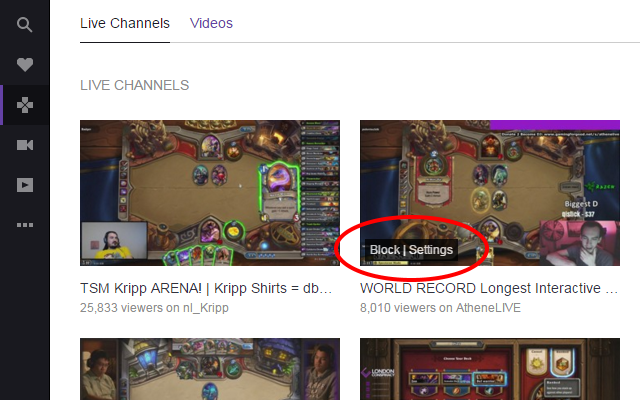 Blocked content will not be visible for you anymore on Directory pages, such as Games, Channels, Videos etc. Firefox 57 or later with installed Greasemonkey extension from Mozilla Add-ons. To block a channel open Channels page or any game page, for example Dark Souls page and use Block button in the overlay menu on a stream thumbnail. The channel will be added to the "Blocked Channels" list and content of that channel will not be visible anymore unless unblocked back.